Did you hear? Blue & white is the new neutral! That's what we can surmise from the popularity of this color scheme. 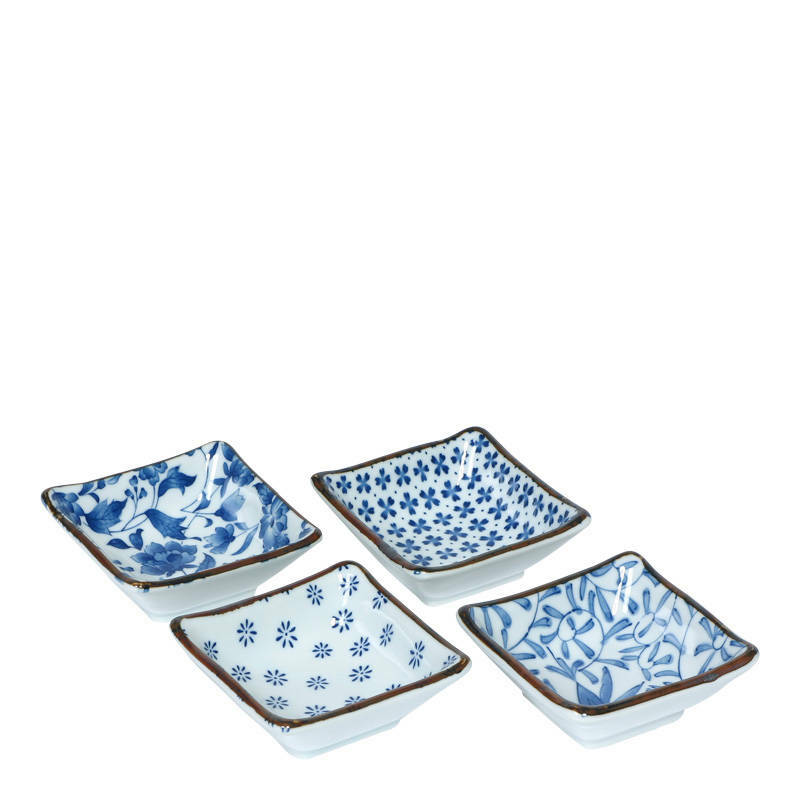 This wonderful little dish set is perfect for a sushi party, for spices on the table, candy, jewelry or even soaps and votive candles. 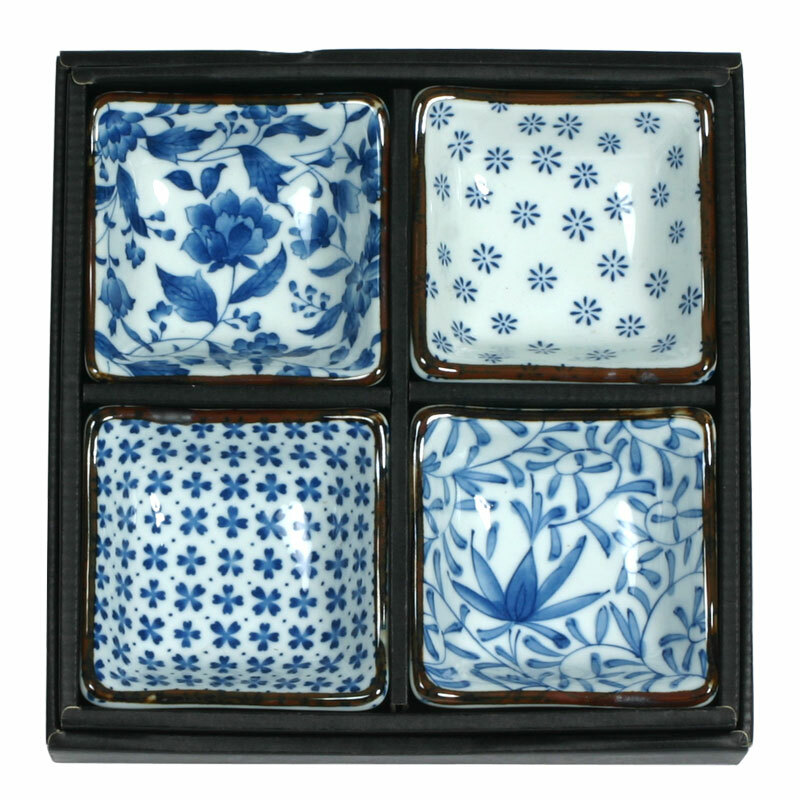 Set of four 3.25" square dishes in a gift box. 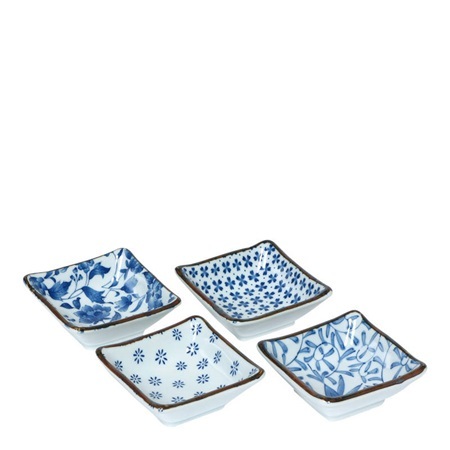 Matching small plate set also available [item# J1008].